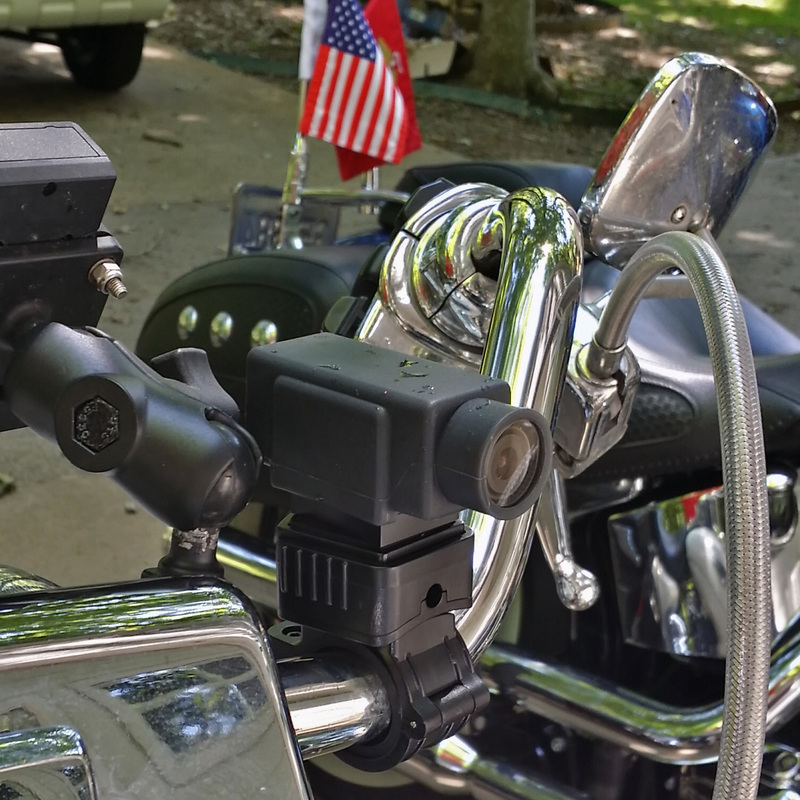 BikerCam mounts easily to your handlebars or helmet. Charge wile recording, with looping video technology, gives you endless recording. 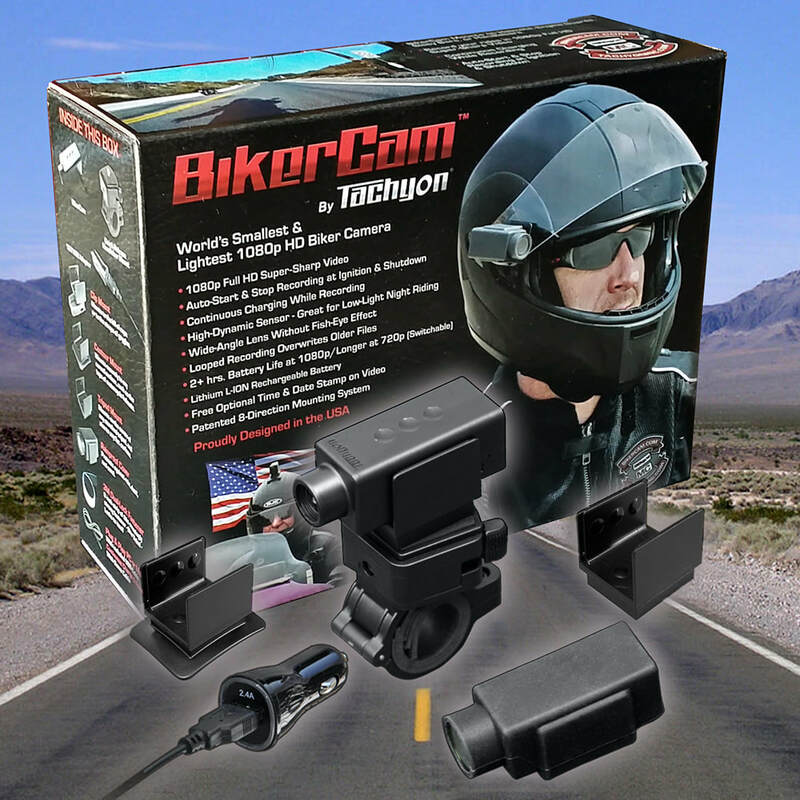 The BikerCam System comes with the Full-HD 1080p BikerCam, a Quick-Release Handlebar Mount, a 12V USB adapter, the Contour Mount for helmets, a Tripod Mount and a Clip Mount. Also included is a 3-Foot USB charging cable and a strip of 3M Dual-Lock fastener. 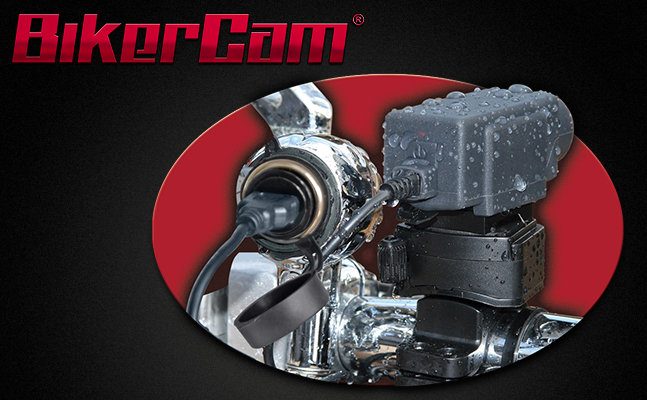 BikerCam, with its Rainproof Cover, connected to your bike's power system via USB cable. This enables continuous charging while recording. 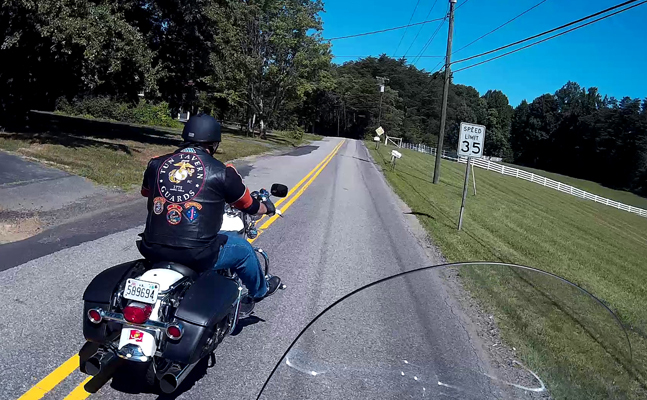 The beautiful, sharp, non-distorted view from a helmet-mounted BikerCam.